The former Australian fast bowler Glenn McGrath reckons that Virat Kohli will have his task cut out against the English fast bowler James Anderson on India’s upcoming tour of England. Anderson had troubled Kohli a lot the last time India toured England as he had consistently dismissed him on low scores and had not let him cross the score of fifty even once in the whole test series. 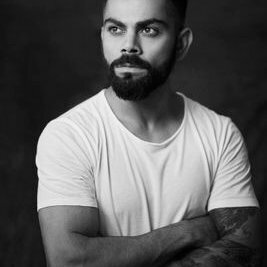 But Kohli since then has scored heaps of runs all around the world in the trickiest of conditions and seemed to be far better equipped to tackle the moving ball now that he was 4 years back when India had played a test series in England last. McGrath also admitted that Kohli has gained a lot of experience over the years and is in a position where he can dominate any bowling attack anywhere, but McGrath reckons, in England what’s important other than the skills is the patience of the player, his willingness to be ready to work hard for runs, that’s something Kohli will have to keep in mind. McGrath has also backed Indian bowling duo of Bhuvneshwar Kumar and Jasprit Bumrah to do well in England. As per McGrath, the duke balls that are used in England have a pronounced seam which is the reason why those balls do something all day and the bowlers always have a chance to get the batsmen out if the they pitch it in the right areas. What’s important when you are bowling with duke is your control. You have to hit your areas and make sure you are not getting wayward and leaking runs. In McGrath’s opinion, both Bhuvneshwar and Bumrah have got good control and they should likely make an impact in English conditions. Bhuvneshwar was a part of the Indian squad for the England tour of 2014 as well, but Bumrah was not in the team back then.